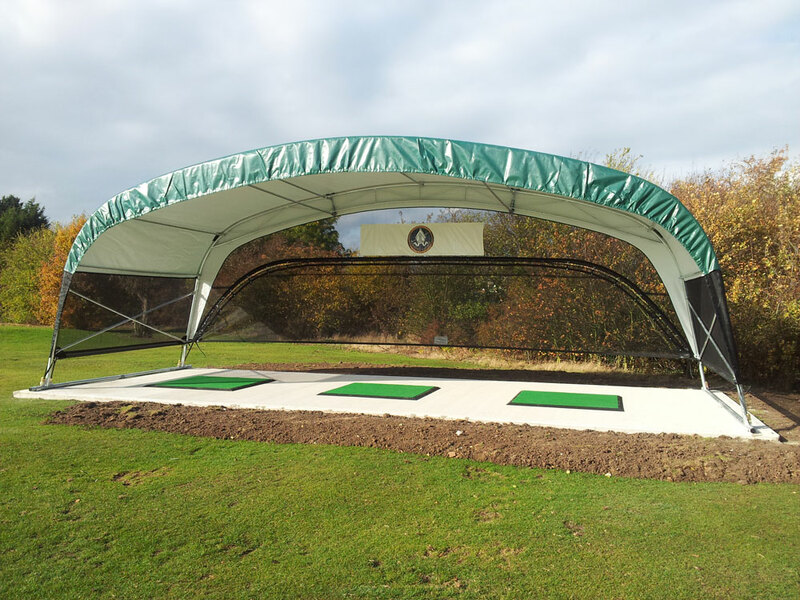 The three bay DryRainge is ideal for a mixed facility, it can be used by members, for tuition or to enable Pro-shop customers to try out new equipment. 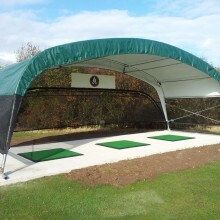 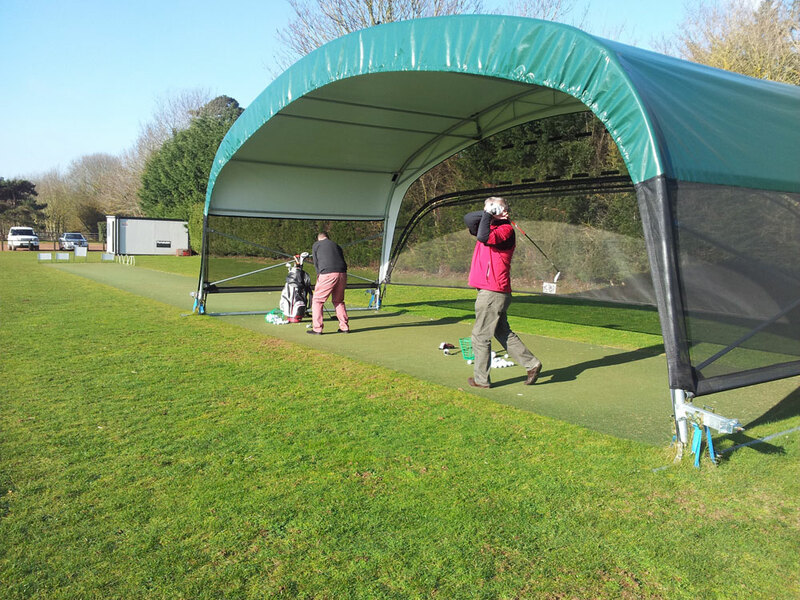 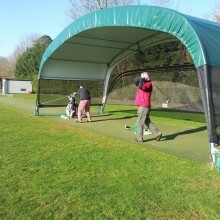 DryRainge is unique in its ability to give your members a practice area off the main driving range, resulting in a fantastic opportunity to practice in all weathers. 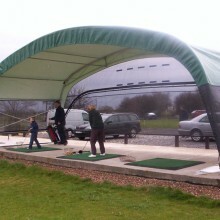 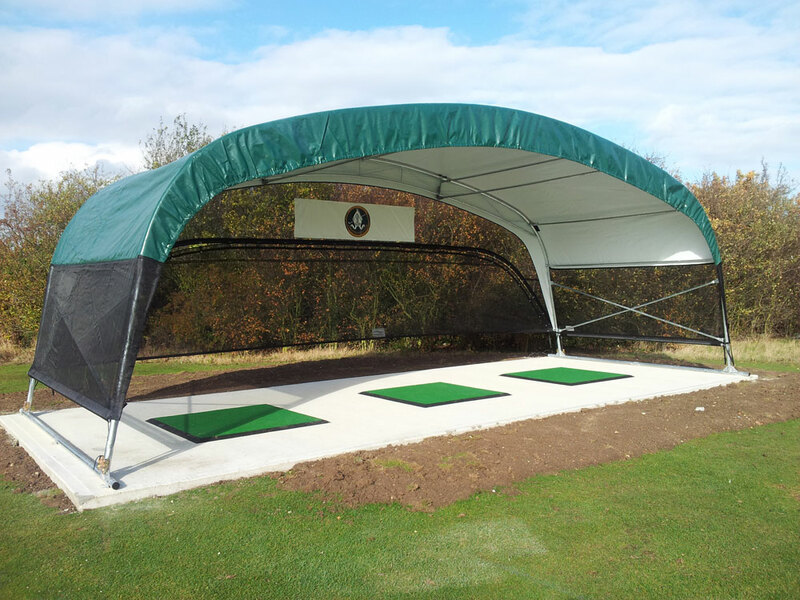 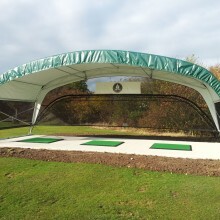 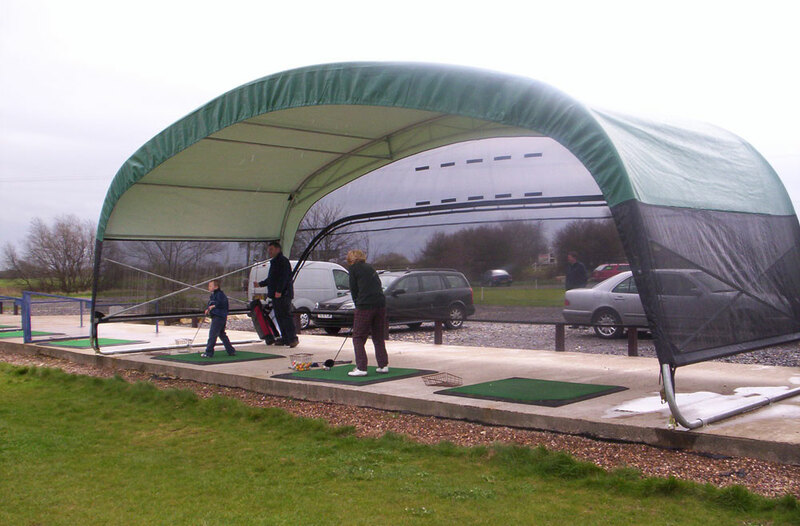 The 3 Bay driving range has been very successful in a group setting, if you offer sessions for junior members or schools with space for one or two active bays whilst leaving plenty of space for the remainder of the group to shelter. 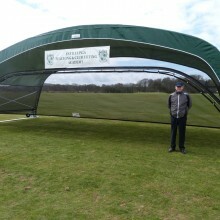 This edition of DryRainge is 10m x 3.6m x 3.6m High (33ft x 12ft x 11’10ft) , providing plenty of space to practice shots and is ideal for use with video analysis allowing you to record and play back you students’ swing. 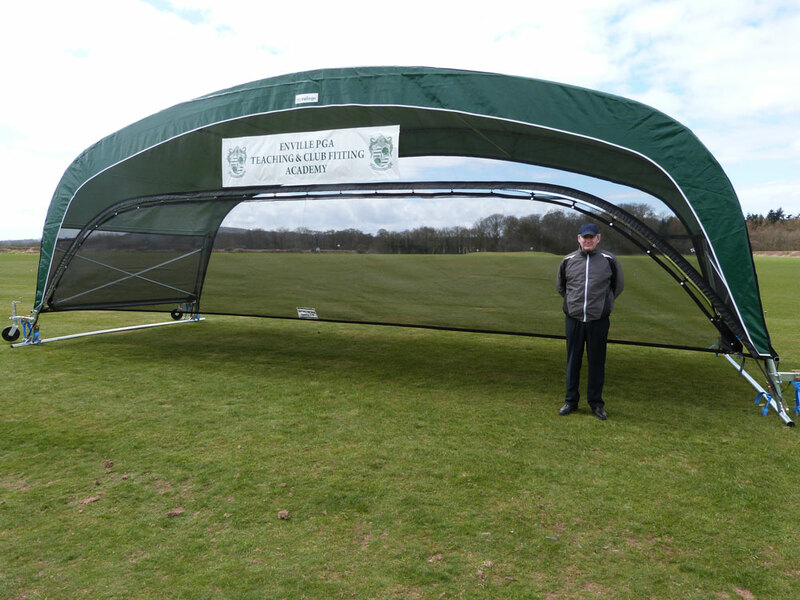 The 3 bay product can be fitted with a printed banner, which can Velcro on and off the back panel and be changed if you require. 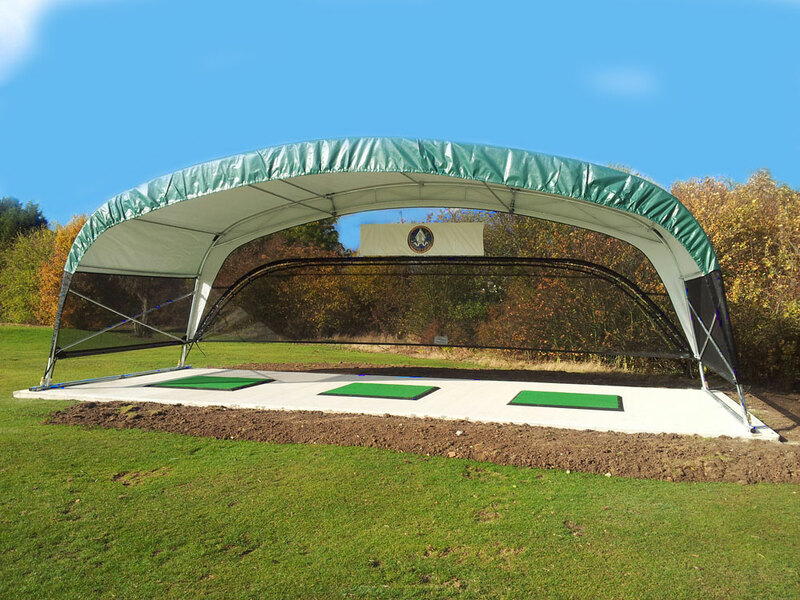 The DryRainge can also be fitted with wheels to allow it to move short distances around your training vicinity.